SRINAGAR: The chairman of Jammu Kashmir Liberation Front (JKLF) Muhammad Yasin Malik while paying tributes to slain Mohammad Maqbool Bhat said that “father of Kashmiri Nation” Muhammad Maqbool Bhat was an ideologue, a statesman, a warrior, a political leader and a diplomat who led nation of Kashmir on all fronts and sacrificed his life for the sacred cause. 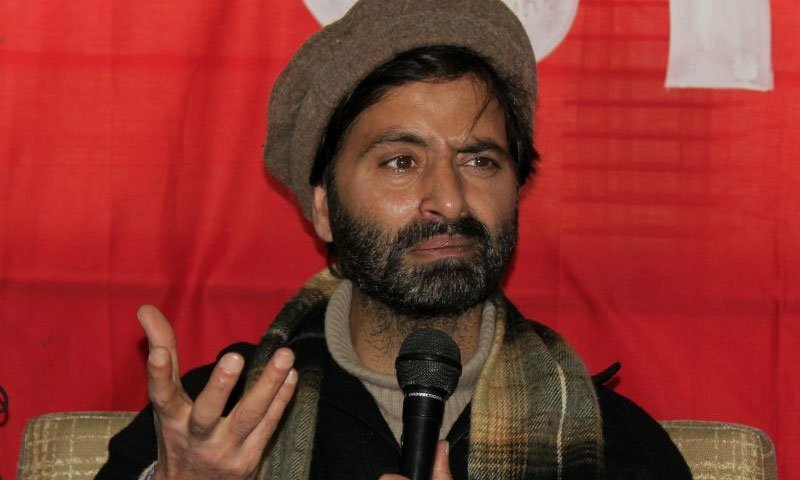 The spokesman said that terming the struggle and sacrifice of Bhat as cornerstone of Kashmiri resistance movement, Malik who is in police custody along with other JKLF leaders Showkat Ahmad Bakhshi, Noor Muhammad Kalwal, Muhammad Salim Nanaji, Ghulam Muhammad Dar, district president Ganderbal Bashir Ahmad Boya, district president Budgam Gulzar Ahmad Pahalwan, Fayaz Ahmad and others said that Bhat will always remain as a symbol of freedom and liberty not only for Kashmiri nation but for all the nations which are striving for their freedom and emancipation. Meanwhile, Malik in a statement paid tributes to five, militants who were killed during an encounter.